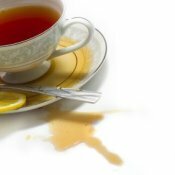 Removing Tea Stains on FabricThis is a guide about removing tea stains on fabric. Unless you are intentionally tea staining a quilt or other handicraft for a vintage look, tea stains on fabric are not desired. Removing Red Wine Stains from MicrofiberThis is a guide about removing red wine stains from microfiber. 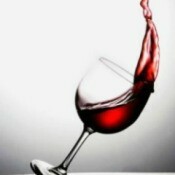 Red wine will stain just about anything it lands on, especially microfiber. Homemade Christmas Window DecorationsThis is a guide about homemade Christmas window decorations. 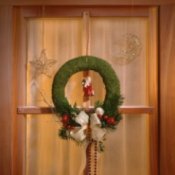 Decorating your windows for Christmas can be more than simply hanging store bought lights. 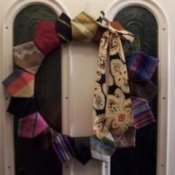 Maybe this year you are looking for ideas for homemade window decorations. 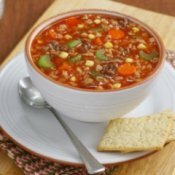 Vegetable Beef Soup RecipesThis page contains recipes for vegetable beef soup. There are few foods as comforting as a hearty bowl of homemade soup, and so many ways to vary the vegetables and seasoning. 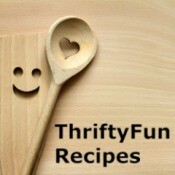 Craft Ideas Using Baby Food JarsThis is a guide about craft ideas using baby food jars. Baby food jars, along with their larger cousins have a long history of being used in the garage to hold small parts. They can also be used in a wide variety of craft projects. 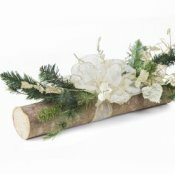 Making a Yule LogThis is a guide about making a Yule Log. Burning a Yule Log is a tradition typically done on or around Christmas. It is most commonly used in European countries. 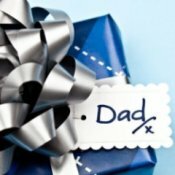 Father's Day Gift IdeasThis is a guide about Father's Day gift ideas. Dads are unique and important people in our lives. Finding just the right gift takes careful thought and consideration. Making a Chair PlanterThis is a guide about making a chair planter. 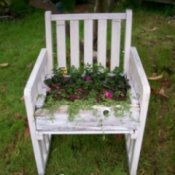 Recycling and old chair into a creative planter provides you with a unique, creative garden planter. 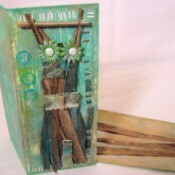 Not only is this project a good way to recycle, but also a crafty outlet for your combined gardening and craft skills. Crafts Using NecktiesThis is a guide about crafts using neckties. Neckties are a popular, colorful crafting supply. They can be used in making new clothing, quilts, purses, and other projects. 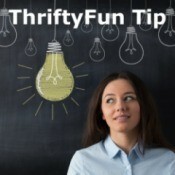 Use the ones you have around the house that are no longer fashionable or check out the thrift store for a new supply. Making Furniture for American Girl DollsThis is a guide about making furniture for American Girl dolls. 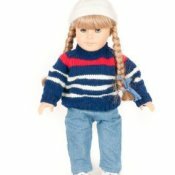 American Girl dolls are an expensive investment so it's not surprising that the furniture for them isn't cheap either. You can save quite a bit of money by making their furniture yourself. Egg and Sausage CasseroleGreat for breakfast, brunch, or any time! I use mild sausage in this, but you could use whatever variety you would like. 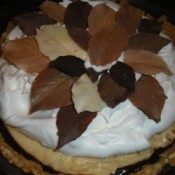 Chocolate Peanut Butter PieChocolate and peanut butter. What's not to like? Easy and so delicious. Orange Pork StroganoffThis recipe has great citrus flavor! Louisiana Style EggplantGreat veggie recipe! My Frugal Life: The Best Things in Life Are Free - or NearlyWhen I look at some of the great pleasures of my life, I find that most of them are free - or very nearly so. Scenery: Spider WebWhile walking back to our old house, I spotted this spider's web in a tree just beyond the neighbor's fence. 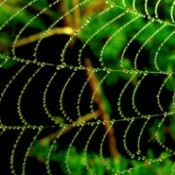 I absolutely loved the way the water droplets beaded it like some sort of elegant and royal piece of jewelry. 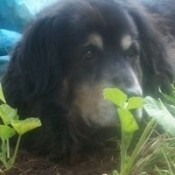 Cosby (Saint Bernard/Lab/Golden...Cosby is a 9 year old Saint Bernard/Lab/Golden Retriever mix. He was a puppy and we went up to Iron Gate and got him from couple who lived there. He likes his walks, stuffed animals, treats, and visiting with the neighbor's dogs in the backyard. Christmas Gifts For SeniorsWe all have someone on our gift list who is hard to shop for because they already have it all, or have limited space, such as someone in a nursing home or assisted living home. 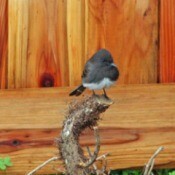 Wildlife: Black Phoebe in the GardenWe often have Black Phoebes in our garden this time of year. They have a characteristic behavior, that of dipping their tail up and down when they are on the ground, or a fence or a roof. Fall FoliageI was admiring the fall foliage while waiting for a bus in my town. 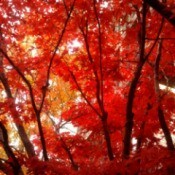 The turning of the leaves doesn't last long here but when it happens it's quite beautiful. Scenery: Seattle at Night (Manchester, WA)Seattle is such a beautiful city from pretty much any angle. 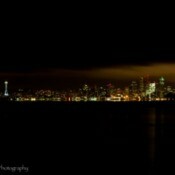 I especially like this view at night from across the Puget Sound. "Oops Paint""Oops Paint" is what the home improvement stores call the paints that were tinted incorrectly and the original purchaser was unhappy with the color. You can generally get a gallon for anywhere from $3-5. Check in the clearance area or ask at the paint counter. Cleaning A Down PillowFluff down pillows daily. They can be washed and dried in you washing machine and dryer, if great care is taken. Check for any tears in pillows before placing in the washing machine. 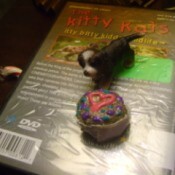 Craft: Painted Rock CupcakesI like to collect small stones, the size of maybe two inches in diameter, and paint them with fingernail polish first and then puffy paint. 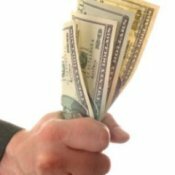 Will the Main Street Fairness Act Affect Me?As Congress debates whether or not to pass the Main Street Fairness Act, consumers are wondering what this means to them. In fact, customers have been wondering for years why they pay sales tax to some online and catalog orders and not to others. Handmade Collage CardIf you're planning to make a card for someone special, why not try using the technique of collage. Pancake Batter in Squeeze BottleUse an empty squeeze bottle like a ketchup or syrup bottle. Mix your pancake batter according to your box instructions. Add it to your squeeze bottle with a funnel. Then put it into the fridge the night before, and have pancakes for breakfast. Use a Credit Card WalletI had an older unused credit card wallet, just the size of credit cards, and I use it for the discount cards only. It is easy to find in my purse. I also have one I use for my health insurance cards and information. It has proved handy and a time saver. Extreme RecardingRecarding should be the wave of the future. 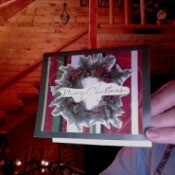 I save all my old greeting cards and even ask others to donate to me. By cutting certain words, pictures, trim, and colored parts of the cards you are able to recard or recreate a new card. Scouring Powder and Scotch Brite Pad For FloorsTo clean my textured kitchen linoleum, I go over the floor with a little scouring powder and a nylon Scotch Brite pad, then mop it clean. Make Gravy from Canned SoupI am not one to make gravy from scratch, so when I heard about this super easy trick, I had to try it for myself. When you need gravy for a crockpot meal, all you need is a can of cream of cheddar soup and a can of cream of mushroom soup. Reviving Drooping RosesLast week, I received some beautiful fresh red roses, which I immediately put in a vase. However, we happened to go away that weekend, and when we came back the roses had drooped considerably, but otherwise were not in bad shape. Awesome Cleaner for StainsAwesome cleaner from the Dollar Store works great on every stain there is. From grease to grass stains on fabric, and will not affect the color of fabric! It is great for cleaning everything from lawn furniture to stove tops. Shred And Reuse NewspaperShred newspapers, I put mine in a big trash bag. 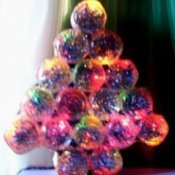 It makes great mulch or packing material for sending gifts, light wieght and free! Scenery: White ChristmasI'm dreaming of a white Christmas, just like the one we had last year. It was the first white Christmas we have had in a long time. Snow in our area is exciting and it just brings out the kid in all of us. 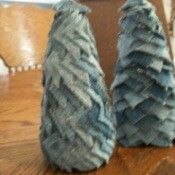 Denim Christmas TreesHoliday table decor made from Styrofoam and denim fabric. In Memory Of Niki (Persian)My very first cat after moving away from home was the sweetest little girl you could ever ask for. 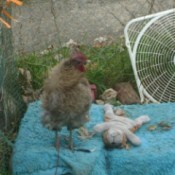 The little six year old girl next door, Nicole, used to constantly bring over assorted animals that needed a home. 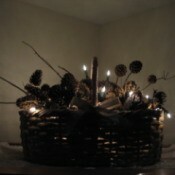 Thrifty Lighted Holiday BasketAll you need for your lighted holiday basket (that can be used year round) is a nice large basket, a 50 light strand of Christmas tree lights, plenty of assorted sizes of pine cones, sweet gum balls, magnolia pods, etc. Rinsing Your Hair with BeerDo you leave beer in your hair when using it as a rinse? Using Carrots that Froze Before HarvestThe carrots that we dug out of the ground are frozen. Can they still be processed? Recycling House BatteriesI am trying to find where I can turn in our house batteries. We are told not to put in the garbage, but our landfill/recycling location does not take them. Live-in Grandmother No Longer Welcome in Daughter's HomeI have two grandchildren. My daughter and her husband have lived together for nine years. I watched the children since they both were born while their parents worked. I took them to school and the doctor's from day one. Can Parvo Cause Brain Damage?Can the parvo virus cause brain damage in dogs that survive? Christmas HelpDo you know any where I can get help for my family? My household consists of my disabled mother who uses her check to pay all the bills, my fiance who is out of work currently, myself who is unable to find employment and 3 children, a girl 4, boy 2, and a girl 2 months old. Removing Tobacco Stain from MustacheHow do you remove a tobacco from a mustache? Scratched Laminate CounterMy 20 year old son slammed a glass down (and it broke) on our laminate counter top creating a couple of scratches. How can I remove these blemishes from a very visible area of the counter? How Do Your Pets Talk to You?My animals have special ways of shaking their heads and other body language signs to communicate. 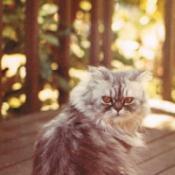 Do you have any stories to tell of your pets talking and understanding what you say to them? 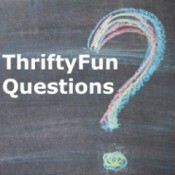 I would so love to read about all of your comments and stories! Wet Carpet Smell in a VehicleHow do I get rid of wet carpet smell in a vehicle? Locating an Ex-husbandI need to know if he is living or whether he is deceased. How to search for this information? Backing on Drapes Stuck Together in the DryerI put my drapes in the dryer after washing. I did not take them out right away so the backing stuck together in several places. How can I get them unstuck without damaging the drapes? Is it possible? Ideas for a Gothic PartyDoes anybody know any ideas for a Gothic party? I'm all blown out. Traveling With a Nervous DogI have a 4 year old rescue Shitz Tzu, she was raised solely in a crate, pretty much 24/7. She was well groomed. But here's the problem, I've had her now for almost 3 years and can't travel with her. Removing Mold from Upholstered CouchWhat is the recommended way to remove mold from couch fabric? 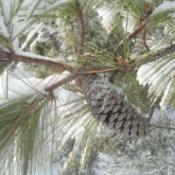 Fair Price for Tree RemovalI have 2 sweet gum trees that are about 10 feet from the house . One is about 60 ft tall and the other is about 45. What is a fair price to have it topped or even removed? Plastic Tablecloth Christmas Door DecorationWe are hoping to use a plastic tablecloth roll to decorate doors at work for Christmas. What will make the plastic tablecloth stick to a door? Adjusting the Timing on a Sewing MachineHow do I fix the timing on my sewing machine? It's a Brother PE150. Sorry I don't have a photo. Reviews of Using Astaxanthin as a SupplementI've been advised to start using the supplement astaxanthin for a variety of medical conditions. Has anyone else used it with success? How long have you been using it? How long did it take to show results? My nurse practitioner suggested it. Looking for Christmas CharitiesI am looking for help for Christmas for my 7 1/2 year old son? Problems Opening Microsoft OfficeDoes my laptop need internet access to open my newly installed Microsoft Office program, or did I do something wrong? House Training a Dog That Won't Poop or Pee OutsideMy husband's dog is still going to the bathroom in the house. He has free access to a decent size yard, but refuses to go off the deck. He has never had any bad incidents to our knowledge. Epsom Salts for Morning Muscle CrampsMy nurse practitioner suggested Epsom salts soaks, for their magnesium content, to help with the awful leg, foot, and thigh muscle cramps I get almost every morning when I try to get out of bed. I can't take magnesium orally.